YouTube 360 videos in 5.7K and 8K now play smoothly!!! YouTube 360 videos in 5.7K and 8K resolution can now play back smoothly…!!! :O Here are some sample 5.7K and 8K 360 videos and an overview of some cameras that can shoot at 5.7K and 8K. YouTube has accepted uploads of videos with resolutions as high as 8K 3D 360. And you could play uploaded videos at 8K resolution but any video on YouTube above 4K would have jittery playback regardless of what kind of CPU or graphics card you have. But now YouTube has quietly upgraded its system to allow smooth playback of 360 videos in 5.7K and 8K resolution. Here are some 5.7K videos from the Garmin Virb 360, GoPro Fusion, and Yi 360 VR. If you change the resolution to 2880p, the playback will still be smooth. Interestingly enough, if I play 6K 3D 360, even in 2D mode, it doesn’t play smoothly. Should you get a 5.7K 360 camera? – A few days ago, Garmin updated its software to enable 5.7K stitching with the Virb Edit software. This meant that you could get 5.7K video with a $799 camera. – GoPro launched the Fusion at $699 and would make it available by November 30. Fusion can shoot at 5.2K at 30fps, and according to the leaked manual, it can also shoot at 5.7K at 24fps. – YouTube began playing 5.7K video smoothly. – Yi 360 VR is launching for $399 in October with 5.7K 30fps video. The combination of these events has made 5.7K much more accessible. As for whether to get one, so far the Virb 360 has shown that it has the best video quality among current consumer cameras, but I didn’t find any significant difference between its 4K mode and its 5.7K mode. As for the Fusion, it looks impressive but it’s hard to tell without a direct comparison. Likewise with the Yi 360 VR — it looks great but it’s hard to tell which one is best. I would therefore recommend waiting a bit. It won’t be long before both the Yi 360 VR and GoPro Fusion are out, then we can have a proper shootout! Whereas there is not such a huge leap from 4K to 5.6K, 8K has four times the resolution of 4K and the difference is very clear and indisputable. Now that 8K can be played smoothly, for the first time, that higher resolution is no longer just a theoretical benefit — it will be clearly visible to viewers. There are many options among 8K cameras. If this is going to be your first 8K 360 camera, I recommend that you strongly consider the Insta360 Pro (reviewed here). Not only does it shoot 8K but it can shoot in 6K 3D, or 4K live streaming, and most importantly, it is hands down the easiest, most integrated 8K 360 camera in the market today — nothing comes close in terms of ease of use. I know of people who have bought other professional cameras and they shot with them only once or twice because the workflow is so daunting. With the Insta360 Pro, the workflow is as easy as a consumer 360 camera — in fact, it’s easier than some consumer 360 cameras! And while it is not cheap, it is much more affordable than other professional 360 cameras such as the GoPro Omni. If you’d like to get an Insta360 Pro, send me a message via the contact form or through 360 Rumors’ Facebook page so I can help you get a discount, or you can buy one on Amazon (listing #1 or listing #2) or B&H Photo. Meanwhile, if you want to see more 8K samples, you can also check out the official page for Insta360 Pro here. I like the Virb, I think I will buy it some time soon. Samples from Yi aren’t that impressive as I expected them to be. Fusion is ok I guess, but the release date is so far away, there will be many cameras to compare it to once it is released and looks like Fusion will be a bit outdated then. Looks like I somehow missed updates on both Yi and Fusion. I guess I will wait few weeks more. Very nice Insta360 Pro 8K video. Could I ask what settings you used to record it and what settings you used to stitch it in the Insta360Stitcher? Many thanks! The good news is that the current version of the Insta360 Stitcher is much better than the one I used for this sample. Pls. let me know if you have any questions. Great blogpost again! Thanks for sharing! 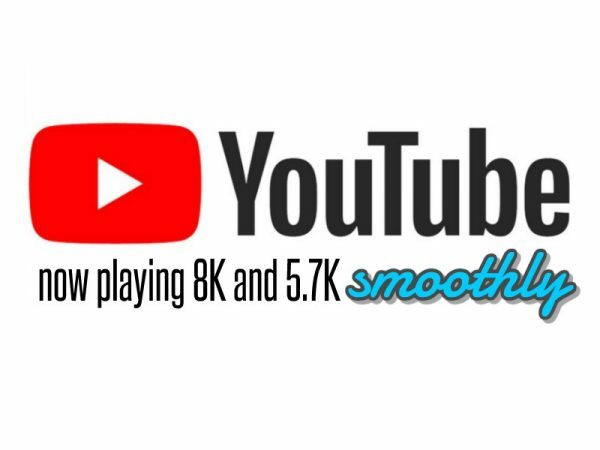 I was very happy to hear that YouTube made changes so the playback of 8K video would be smoothly. When looking at the 8K example footage though I still get a lot of stuttering. So I don’t experience a lot of difference here…? How is that possible you think? Thanks a lot for your answer. Hope you have a wonderful day! 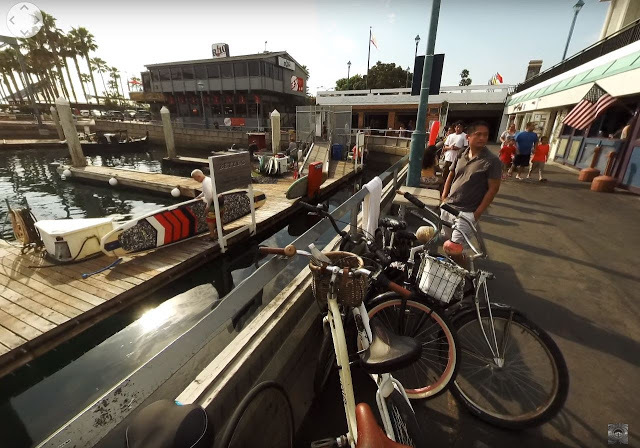 Capture fully spherical 32mp 360 photos with your smartphone with theVRKit!